In case you have questions or inquiries regarding the building in the center of the Kingdom, we will offer you a few guidelines on how it works and a few tips and tricks on how to conquer it. 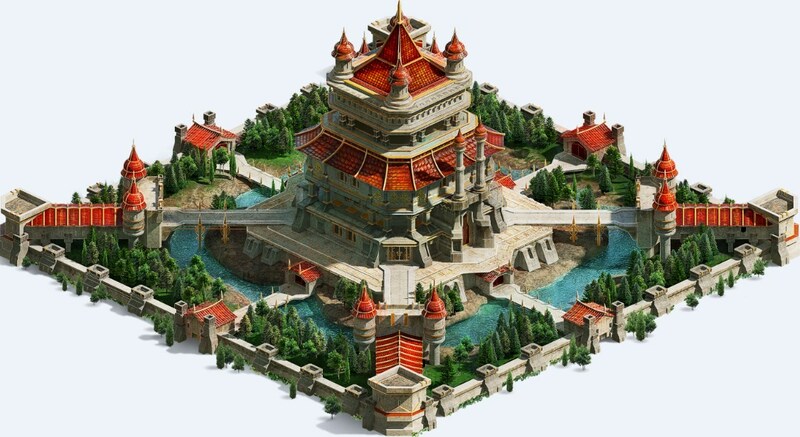 The Wonder is a building in the center of each Kingdom which can be conquered via attacks or rallies. Why should I conquer the Wonder? Once conquered, the Wonder offers a series of benefits and restrictions to the Leader of the Alliance that conquers it. Once the Wonder is conquered, the members of the Alliance must reinforce it and defend it for 6 hours while others can try to capture it. If the ownership remains unchanged for those 6 hours, the Wonder will enter a shielded state for 72 hours in which no attacks, no rallies or scouts can be performed. After that, the Wonder enters again in contested mode. Kings are notified by the Watchtower for actions against the Wonder. Q: If I conquer the Wonder alone and I am not the Leader of my Alliance will I become the King? A: No, the one who becomes the King will be the Alliance Leader. Q: What happens when a rally is on the way but the Wonder has already been conquered? A: The rally will be automatically canceled. Q: What happens when another attacking march from the same alliance is on the way after the Wonder is conquered? A: The march will become a reinforcing march and continue its way to the Wonder. Q: Can I send my Hero in an attacking march towards the Wonder? A: Yes, the Hero can be sent and if the march is successful, if you conquer the Wonder, the Hero will reinforce the Wonder along with the surviving troops. Q: Can I withdraw the reinforcements sent to the Wonder? A: Yes, you can withdraw the reinforcements sent to the Wonder and even if the Wonder remains with no troops, the ownership will not change because of this. Q: Can I scout the Wonder when it’s shielded? A: No, the Wonder cannot be scouted, rallied or attacked when it’s shielded. Q: What happens to the Wonder after the 72 hours of protected state? A: The shield will disappear, but the ownership is preserved until someone else conquers the Wonder. Q: Can the Wonder sometimes have no owner at all? A: No, the Wonder will always have a King/owner. Q: How do titles work? The Queen, The Hand, The Gladiator, The Paladin, The Maskman, The Squire, The Philosopher, The Architect will offer a plus to Troop Attack/Troop Defense/Troop Health skills. The Buffoon, The Stable Boy, The Donkey Herder, The Beggar, The Convict, The Madman, The Fool, The Whipping Boy can offer both a plus and minus in your Troop Attack/Troop Defense/Troop Health skills.